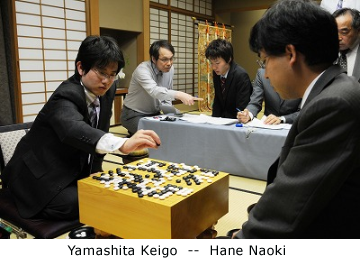 With his fourth-round win in the Honinbo on Friday, Yamashita Keigo 9P has taken a 3-1 lead over Hane Naoki 9P. 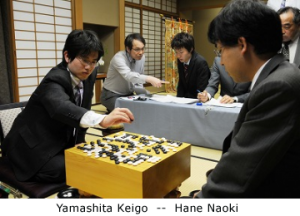 This would be the first Honinbo title for Yamashita; Hane has held the title for the past two years. The fifth round will be played on June 28-29.